General Chang Yuchun was born 1330 in Huaiyuan County, Anhui Province. In 1355, just 25 years old he joined the so-called "Red Turban Rebellion" against the Mongolian rulers and fought alongside Zhu Yuanzhang, the later founder and first emperor of the Ming Dynasty (1368-1644). 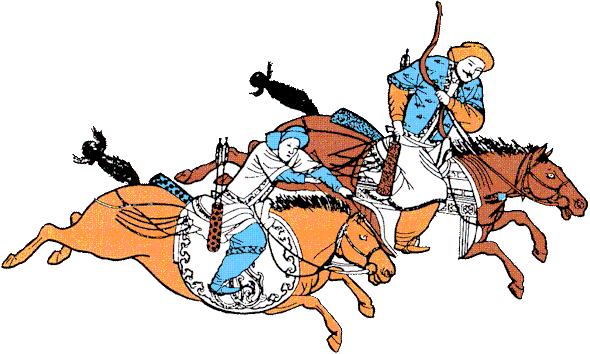 After successfully defeating the Mongolian armies in the Yangtze River area, Chang Yuchun as a key military general led the troops against- and defeated in many battles Zhu Yuanzhang's local rivals for control of China. Chang soon became famous for his loyalty, bravery and excellent fighting skills, all contributing to his being promoted to Marshall already in 1356 at the age of 26. In early 1364, he was appointed to the high office of manager of governmental affairs in Zhu Yuanzhang's Ming precursor regime based in Jiankang (present-day Nanjing). Two years later he joined general Xu Da on a successful military quest north to root out the remaining forces of the ruling Yuan Dynasty, still clinging to power in the area around the southern Mongolian capital of Khanbaliq (present-day Beijing). When Zhu Yuanzhang in 1368 establishes his Ming Dynasty and appoints his son, Zhu Biao, as heir apparent, Zhu at the same time demonstrates his high trust in Chang Yuchun by making him the official junior guardian of Zhu Biao. Aged just 38-39 years, Chang Yuchun dies in 1369 on a return trip to Nanjing, the Ming capital. Deeply saddened by the loss of a loyal and trustworthy friend Zhu Yuanzhang writes and dedicates a poem to Chang Yuchun and posthumously bestows him the title of "Prince of Kaiping", Kaiping being the secondary capital of the Ming regime. Chang Yuchun leaves behind two sons and one daughter, Chang Sen. The latter having become fatherless is made principal consort of the crown prince in 1371. Not only was Chang Yuchun bestowed the honorary title of "Prince of Kaiping", but Zhu Yuanzhang went one step further by allowing Chang Yuchun to be interred on the same mountain that would later house Zhu Yuanzhang's own mausoleum. 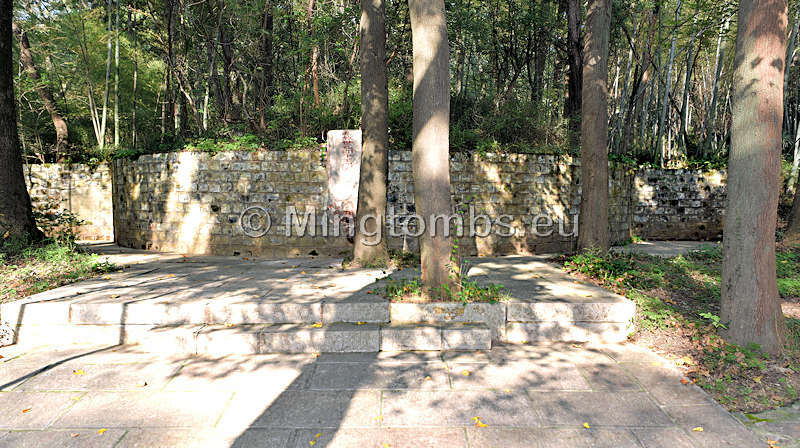 Chang's mausoleum is located close to Taiping gate on the northern side of the foot of Zijin mountain, a subsection of Nanjing's Zhongshan mountain. 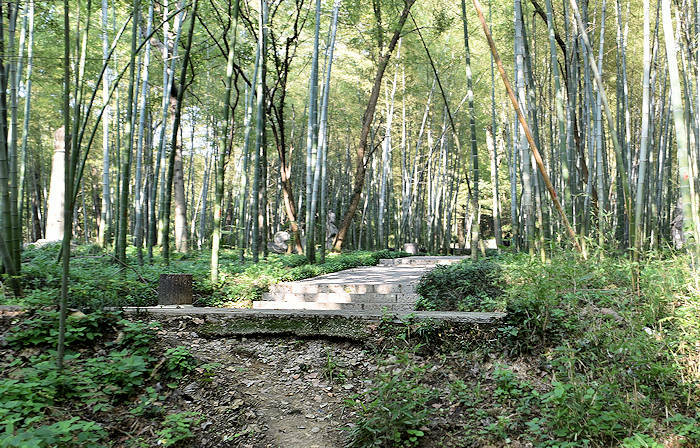 It sits almost hidden from view inside a small, mostly bamboo grove, which again is part of the large, forested area covering most of Zhongshan mountain. The mausoleum was established in 1871 by descendants of Chang Yuchun and renovated by Nanjing Cultural Ministry in the late 20th Century. 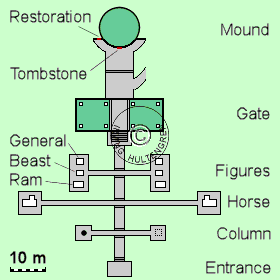 It appears tidy, indicating relatively frequent tomb sweeping measures. It must be emphasized that even though Chang Yuchun was buried in 1369 somewhere on Zhongshan mountain, then it is unlikely that his remains are interred at this precise location. The mausoleum consists of three main sections: A front section with entrance and stone statues, a formal gate and the tomb mound. The wooden gate as well as any other possible woodwork are all long gone. The orientation is south (entrance) to north (mound) and approximately 100 meter long with a central axis walkway. With the exception of one column then all the stone statues remain, however in a somewhat dilapidated state. The wall surrounding the gate is still extant, but of the building and roof only the plinths now show where the original wooden columns once stood. The mound is intact albeit overgrown with plants. The surrounding wall is extant but on the sides and in the rear mostly covered by soil. At first a visitor ascends a rectangular entrance platform located a few feet higher than the public parking lot just behind it. A formal, wooden entrance structure probably once stood on the platform, but if so, then nothing remains thereof. Three stairs lead up from the platform to the paved, central axis walkway, which runs in a straight line all the way to the tomb mound. Six meters ahead a path crosses the walkway; it is perpendicular to- and one step lower than the central walkway. This recessed path leads to two small square platforms, one on each side some six meters away from the central walkway. In the center of the left (western) platform stands a decorated stone column. The hexagonal column rests on a circular platform, which again is centered on a square base. All decorations, if there ever were any, on the base, platform and column itself have weathered away or crumpled a long time ago. The top however still has a clearly discernible lotus flower, complete with bud and leaves. Six meters further north on the central walkway another -again, one step lower- perpendicularly crossing path leads to two platforms, one on each side some 18 meters from the central walkway. A horse held by a horse attendant adorns the center of each platform. The horse attendant wears a headgear and a simple, sparsely decorated robe held together by a knotted rope. He holds the horse by the reins with his left hand and rests his right arm horizontally across his chest. He renders an impression of readiness and submissiveness. 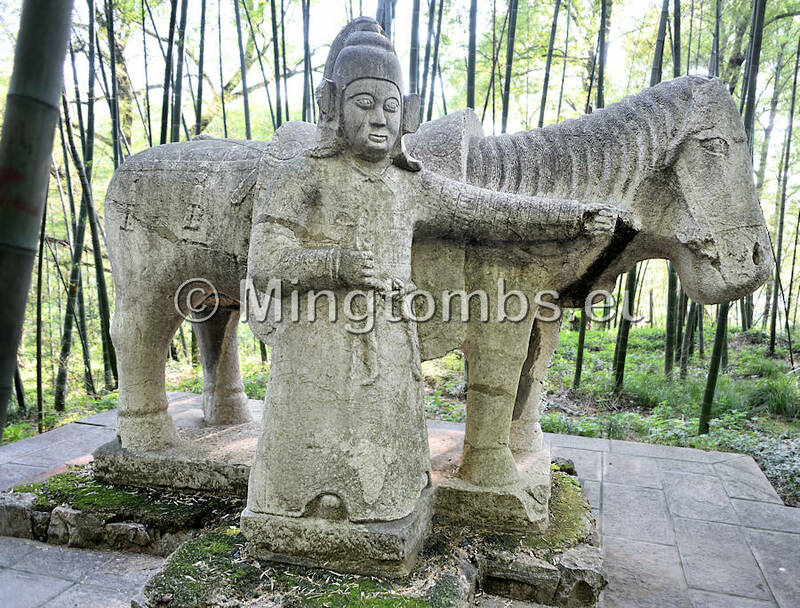 On both sides the attendant stands on the side of the horse that faces the mausoleum mound as if awaiting the deceased to return and mount the horse for a ride. The western horse attendant statue is far more dilapidated than its eastern counterpart. The horses appear nicely groomed and are fully equipped with reins and saddle, ready to ride. The masonry is of high quality, down to the individual strands on the mane. The saddles are extended down the sides and a large, beautiful dragon motif with swirling clouds adorns the uncovered side (see image). The clouds symbolize that the mausoleum occupant will be riding the horse in the sky or in the Heavens. 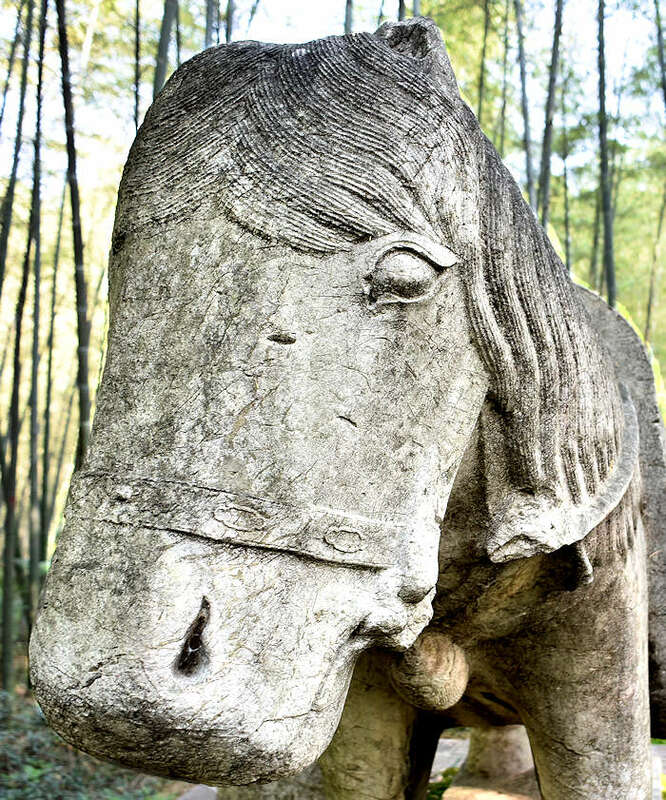 Similarly to the attendant the western horse statue is more dilapidated than the eastern one. The western horse has a cracked skull and are missing part of the reins, but the decorations are in better shape than are the details on its attendant. Further up the central walkway another perpendicular and recessed path leads east and west to a rectangular platform. 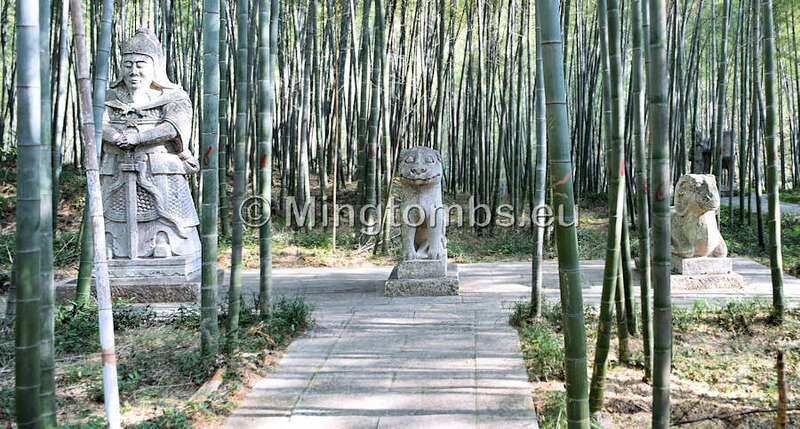 Each contains three stone figures: A general, a tiger and a ram, in that order but always with the general nearest to the mausoleum mound. The general comes fully equipped and ready for battle or, in this case, alert and prepared to defend the presumed mausoleum occupant should the need arise. He stands erect, resting with both hands folded on his sword handle. He wears a cape, a (leather) helmet and heavy protective armor over most of his body. The lower part of the breast plate and the belt are finely decorated. The left shoulder protection is shaped as a tiger's face. Also the edges of the protective armor are decorated, some with pearl-like adornments. The western general is completely shaved whereas the eastern one has a well-groomed goatee. 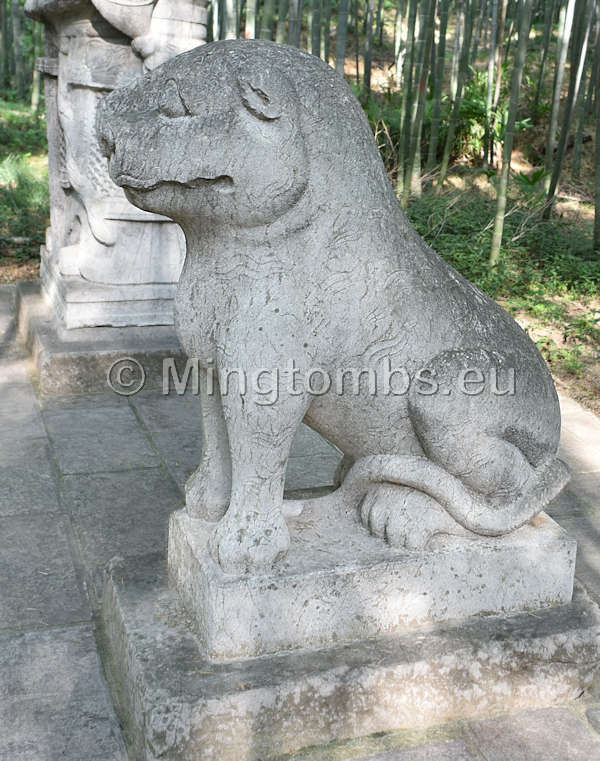 The center stone figure resembles a tiger, but could equally portray a mythical beast. It is in a sitting pose, resting on its hind legs with its tail nicely curled up under the body. The fur decoration is a rather curious mixture of curvy lines and scales. The beast has a solid, muscular body and the leg muscles appear strong and able. 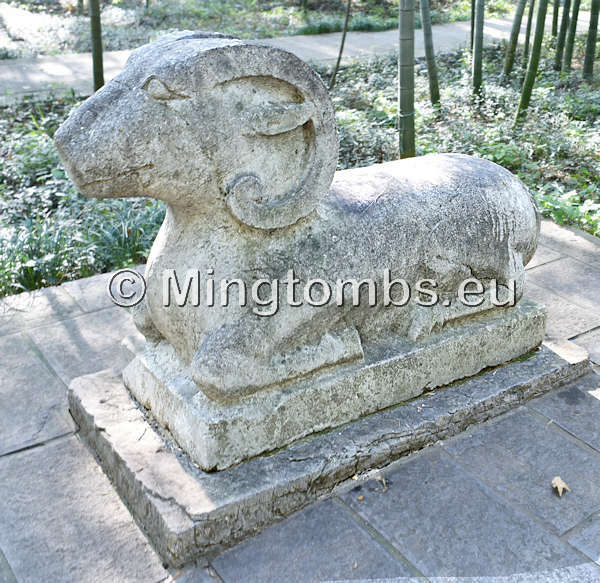 The always southernmost figure is a ram with curled horns. It is in a lying pose, resting on all four legs and looking straight ahead. Apart from the horns, most decorations on the body and fur have almost been completely eroded by the weather. The central walkway in the front section ends in a small platform from where six steps lead up to the formal mausoleum gate. The gate was erected on a walled, elevated platform, all of which is still extant. There are however no remains of the gate itself, because it was made of wood. The eight still extant plinths reveal that it was a simple gate with a single eave roof. It would have had full sides east and west as would be customary. There was likely no front or back walls but only an east-west wall in the center of the platform with a single door cutting across the walkway. 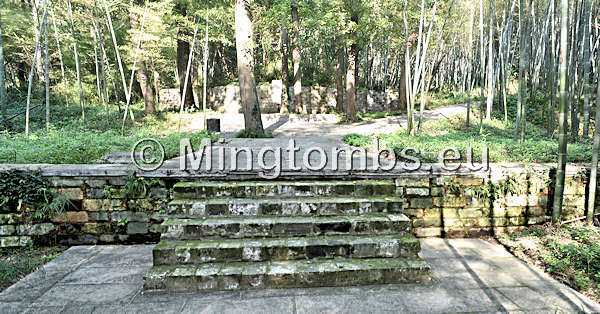 A slightly wider walkway leads from the elevated gate platform to the mound at the northern end of the mausoleum. The entire mound area is also slightly elevated compared to the front section of the mausoleum. The mound is circular and reinforced with a brick wall. Additional brick walls extend out east and west halfway around the circular wall. These extensions smartly render an impression of a far larger tomb mound than is actually the case. Behind the tomb mound is yet another mound. It's unclear if there is any relationship between them. Whereas the front half of the circular brick wall is kept tidy and accessible, the remaining mound brick wall behind the wall extensions is almost completely covered by soil and vegetation. 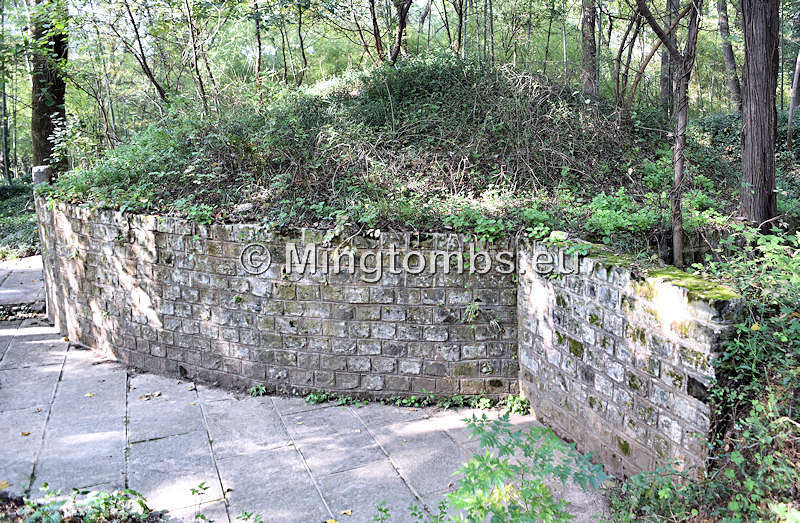 The bricks used at this mausoleum are larger than normal bricks in the 1300's or even in the 1800's, when the mausoleum was renovated, but they are however nowhere near the very large bricks, which the Ming normally used in their mausolea. Embedded into the center front wall is a stele naming the mausoleum occupant. 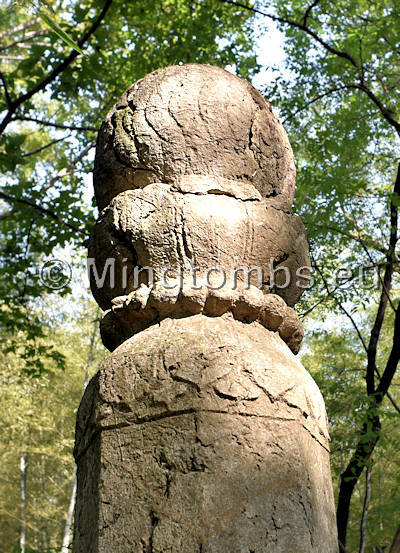 This stele corresponds functionally to the grave stele housed in the Mingluo [Stele Tower] or Memorial Shrine of later Ming dynasty mausolea. Down the center in large painted letters the inscription reads: "Passed away in the Ming Dynasty, King (prince?) 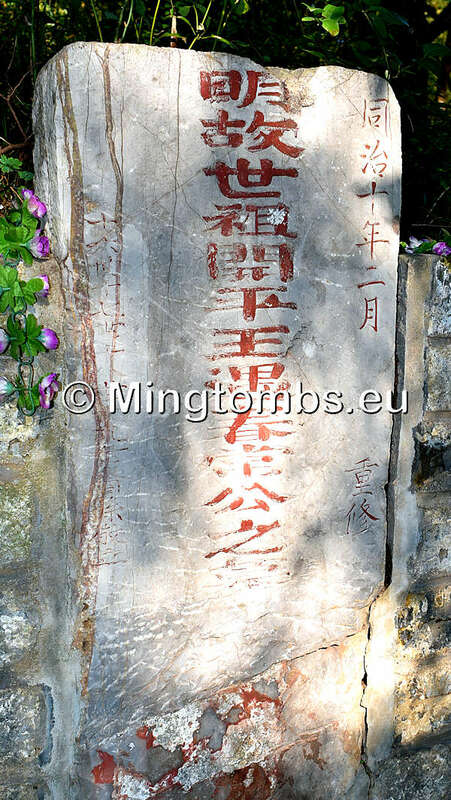 of Kaiping, the [tomb of] honorable Chang Yuchun". A smaller inscription on the stele right front states that the mausoleum was "renovated in February [of the] tenth year [of the Qing] Tongzhi" reign, which would correspond to the year 1871 as the Tongzhi Emperor reigned from 30. January 1862 to 1875. 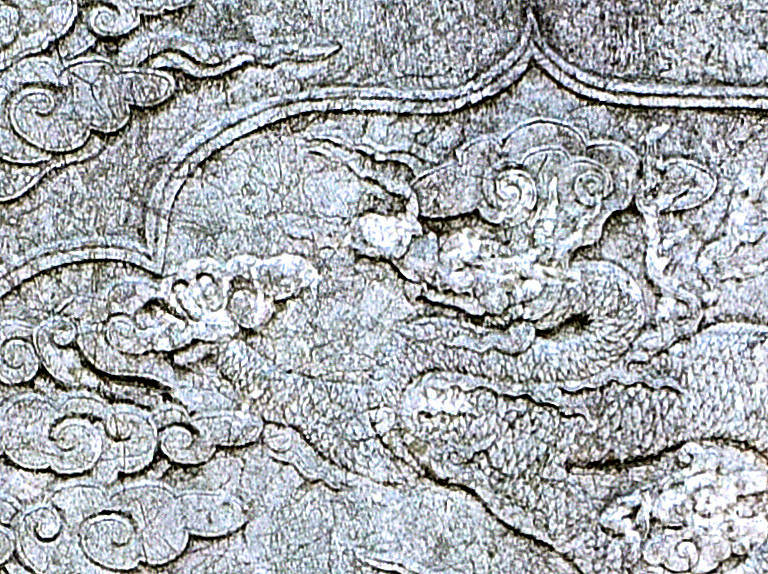 A barely legible inscription on the left side of the stele front presumably names the sponsor. Another inscription embedded into the left (west) wall extension explains that the mausoleum was renovated again in 1982 by the Nanjing Ministry of Culture. As stated earlier, it is highly unlikely that Chang Yuchun is interred in this particular location.